Amit Tekwani directs the financial reporting practice at Equity Methods. He has served as a consultant in both the valuation practice and the financial reporting practice, having assisted over 150 companies in varying capacities since joining Equity Methods in 2007. Amit is widely regarded throughout the industry for his dexterity in designing, reviewing, optimizing, and managing large and complex equity compensation reporting processes. Specifically, he has led projects involving equity award plans with hundreds of thousands of participants, large M&A activity, performance-based awards, modifications, and restatements. Amit is a superb engagement leader. He is particularly known for his ability to uncover and dissect client needs, and then lead his project teams toward thoughtful solutions. Within Equity Methods, Amit is known for consistently driving process reengineering and insisting on processes being architected with flexibility and risk management in mind. With a background in accounting and analytical finance, Amit possesses deep theoretical expertise that he leverages in helping clients formulate accounting policies and identify gaps in current methodologies. 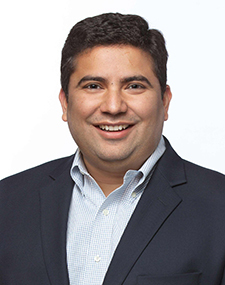 Prior to joining Equity Methods, Amit held finance and accounting positions that provided additional exposure to process design, controls, and finance theory. Amit received his MBA in finance from Thunderbird School of Global Management and belongs to the Beta Gamma Sigma national honor society. He also holds an MS in accounting from Gujarat University in India.